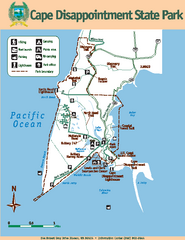 Official NPS map of Lewis & Clark National Historic Trail in Oregon-Washington. Shows all areas in both states. 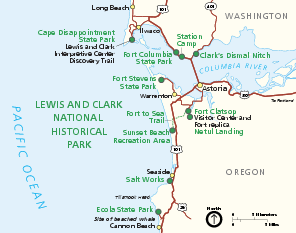 The Lewis and Clark National Historic Trail extends over 3,700 miles and through 11 states, from Illinois to the Pacific Coast. 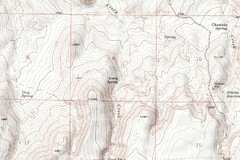 Operating hours and seasons vary from site to site. 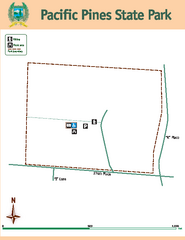 Some sites along the Trail may require advance reservations. 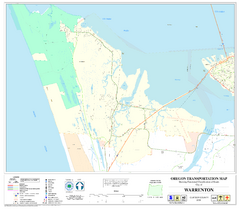 A detailed topographic map of Astoria, Oregon and the Columbia River.